Fetch your sunscreen and umbrellas as we present you the list of the best places to visit in April in India. The onset of summer is truly blissful to make some plans for holidays. April comes with abundant exciting choices to plan your vacations in India. When incredible diversity presents such a long list of names, choosing one among the places to visit in April is indeed difficult. The country features pristine beaches, tropical islands, hill stations, deserts, vibrant cities, jungles, heritage sites and so much more. Beat the heat of summer, take a break from cities and rejuvenate your spirits, as we help you remove your confusion about where to go on holiday in April, then there are amazing places with serene environment suitable to beat the heat. Hill stations in the Himalayas as well as the Western Ghats are the most sought locations. The beaches are not far behind as the crowd-free setting lets you have a wonderful time. Adventure expeditions also make the month memorable as you can enjoy the summer sunshine. Camping in Himalayas are particularly delightful. River rafting, mountaineering, cycling biking, etc. also add to the thrill of summer vacations in India. Up in North India, there is the spread of the mighty Himalayas with some of the highest peaks in the world. From the beautiful places in Uttarakhand to the charming towns of Himachal Pradesh, the unexplored pristine bliss of North East India is equally calling. Here you are met with enthralling bliss. There's so much variety when it comes to choosing among the best holiday destinations in April in India. 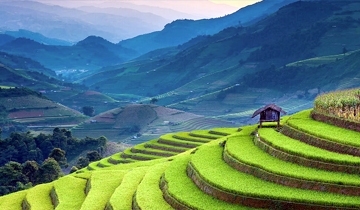 Think of walking amid lush tea gardens and you have options of Darjeeling, Assam, Ooty and the romantic haven of Munnar. 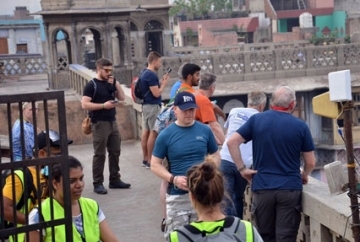 The trekking trails in Himachal and Uttarakhand as well as the North East are available in all categories for novice as well as the one with the expertise. Camping is another reason why you must visit the mountains in the very start of summer. 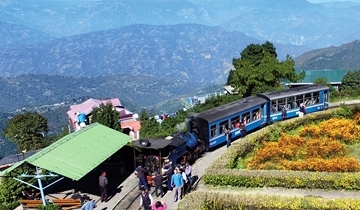 Adding to the delights are toy train rides, especially for a family holiday in April. Shimla, Darjeeling and Ooty are proud of their historical legacy of wonderful mountain railways that are also listed as UNESCO World Heritage Sites in India. This list of some of the best places to travel in India in April include popular as well as off-beat tourist places. Our endeavor is to help you plan an unforgettable holiday in India. The breathtaking islands of Andaman are as glorious as they are the rest of the year. For the ones who would like to miss out on the crowds, a holiday in Goa in April is a wonderful bliss. The luxury resorts heap on discounts that truly treat you to memorable experiences. Whether it’s a family break, a get together with friends, an escape from your corporate existence or a romantic getaway, you can rest assure of a memorable time at the best places to go on holiday in April. 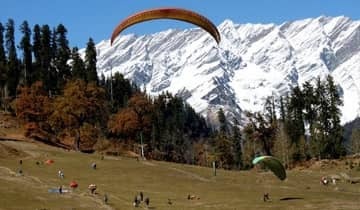 Placed at the northern end of the Kullu Valley, about 40 km from Kullu, Manali is one of the most popular hill stations of Himachal Pradesh, flocked by honeymooners and family vacationers every year. 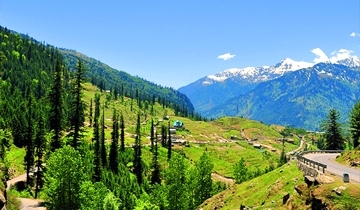 The breathtaking landscape and the fantastic weather of Manali is enough a reason for you to explore the place in April. This hill town doesn’t only have exquisite locations and popular tourist attractions but also offers amazing opportunities to adventure enthusiasts. One can partake in zorbing, ziplining, trekking, river rafting, para-gliding and more. One of the best months to enjoy the splendid topography of Darjeeling is April. 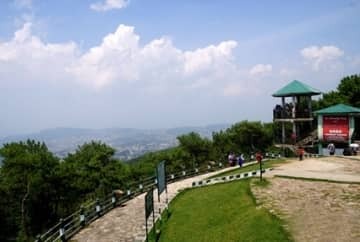 It marks the setting of spring season, which features a highly pleasant weather with a little chill to make you upfront with the feel of a hill station. Average temperature during this time revolves around 22°C; sufficient enough for a lot of outdoor activities. The renowned tea plantations turn out to be the best attractions in the spring, for they get all fresh and verdant by this time of the year. Besides, spring also opens the doors for adventure sports like white water rafting and trekking. 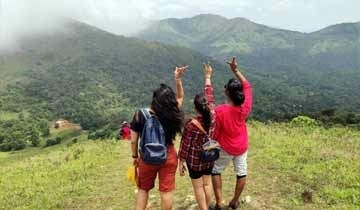 Waynad in Kerala is a scenic plateau with a tribal oriented culture. The aroma of cardamom, pepper, tea, coffee, spices and other condiments prevails at the place. Boasting of rich historical legacy, the ‘land of paddy fields’ preserves ancient murals and writings in the caves of Ampukuthimala and Ambalavayal. 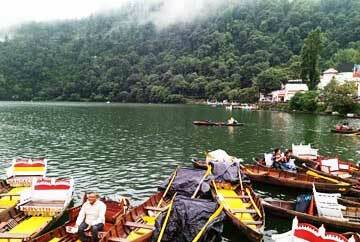 Nainital entices visitors with natural attractions and salubrious weather. Situated on the foothills of the Kumaon region, the hill station is a paradise for honeymooners. Exotic scenery, untouched lakes and temples and adventure activities complete the trip to this nature’s wonder. 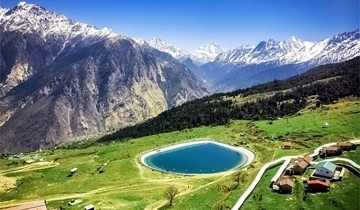 It is one of the best places to visit in April in India. 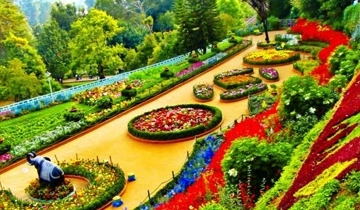 Nestled in the Nilgiri Hills, Ooty is a stunning hill station in Tamil Nadu. Besides the Niligri Mountain Railway, a UNESCO World Heritage Site, the main attractions are lakes, waterfalls, temples, tea gardens. It is one of the best places to travel in April in India as you can enjoy a pleasant weather. Blessed with exemplary mountain vistas, Auli in the state of Uttarakhand is a haven for nature lovers. The hill station has in its crown the title of being one of the best ski resorts in the world. However those skiing months can be highly freezing. Thus, make your journey to Auli in the month of April (summers), when the temperature sets itself within the pleasant bracket range. 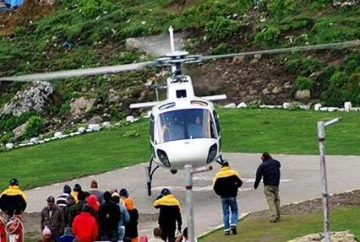 This is certainly amongst the best time to go for sightseeing in and around the hill station. Besides, skiing at the lofty hills of Auli is still possible during this month of the year. 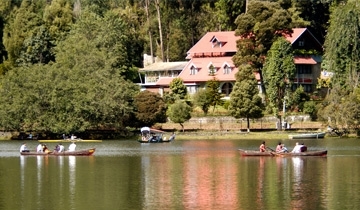 Shillong – the ‘Scotland of the East’ is one of the favorite places in North East India. The capital city of Meghalaya is blessed with thrilling mountain peaks, gushing waterfalls, museums, nature’s bounty and many other delights. Get ready to be soothed in the lap of nature with a holiday in April. The emerald beauty of Karnataka, Coorg is a hill station blessed with picturesque locales. Snuggled in the Western Ghats, Coorg enjoys the title of “Kashmir of south”. Perfumed with the delicious smells of coffee, spices and oranges, the environs are at its stunning best in April. The altitude of 3500 ft above sea level is pleasant and with warm days a burst of colors in form of multi-hued flowers covers views as far as the eye can see. It is also an ideal place for trekking, bird-watching and nature walks. 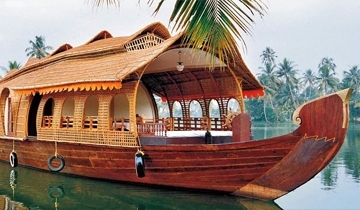 One of the prized jewels of God’s Own Country Kerala, Kumarakom is a beautiful backwater destination. The cluster of islands located in the Vembanad Lake is a nature blessed location. The lovely environment of mangroves, paddy fields, coconut clusters intermixed with canals and waterways adorned with houseboats, Kumarakom is a destination that completes tours of Kerala. Famous for houseboat tours, a famous bird sanctuary is located here. The unique ecology is home to numerous species of avians. Explore the beauty at your leisure in April after the crowds have departed. Uttarakhand, the Dev Bhoomi of India is a blessed state. Dotted with hill stations, pilgrimage centers, adventure hubs and scenic locales, it is replete with attractive tourist destinations. April is a good time to explore. The chilling winters are over, snow has melted and the verdant surroundings are at their best. Camping, trekking, relaxing and river rafting are the most popular activities that draw visitors from all over the world. Check out the explored breathtaking locales or dare to make you own way, Uttarakhand has invigorating landscapes that make wonderful holidays. Lying in the eastern Himalayan ranges, in the north-eastern state of Sikkim, Gangtok is not only a popular tourist destination. It also boasts of a lot of religious importance for the followers of Buddhism because of being home to a number of monasteries. Gangtok has it all mesmerizing scenery, high mountain peaks, glacial lakes, monasteries, splendid weather, popular attractions, and trekking paths to attract all kinds of travelers. Soak-in the religion at the monasteries, explore the beautiful locations, gorge on sumptuous food, indulge in adventure and more. Summers at the queen of hills of North India arrive in the month of April. During the season, the frozen status of the hill station chooses a makeover which displays a scenic appeal of the Mother Nature and its greenery bedecked at all its frontiers. 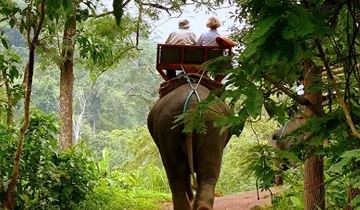 This makes April the very right month to go on wild safaris and nature trekking tours. 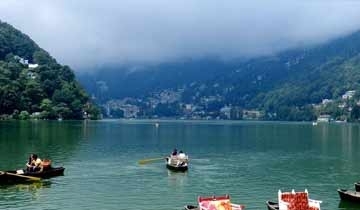 The hill station is also famous for its summer festival that takes place in the month of April. 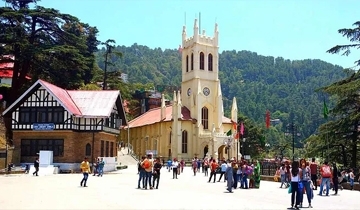 It includes the Himachal food fest, painting competitions, star nights, roller skating competitions and fashion shows as its major feature acts. Spread in an area of 392 sq km, Ranthambore National Park boasts of being one of the largest and most famed national parks in the northern region of the country. The month of April is a favorable one as far as the weather is concerned and there are better chances of catching a glimpse of wide variety of animals during the safari. Popular for its decent tiger population, this national park is also a Tiger Reserve. It is the former hunting grounds of the Maharaja of Jaipur. The park is home is to a wide variety of animals and birds. 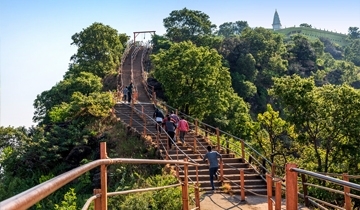 Pachmarhi is popular as the ‘Queen of the Satpuras’. 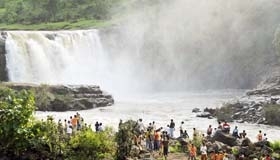 The hill station of Madhya Pradesh is one of the best holiday destinations in April in India. It bewitches with beautiful monuments, ancient caves, natural pools, waterfalls, canyons, forests, etc. The matchless experience of witnessing a sunset is worth every effort. 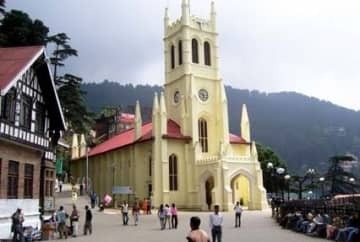 Away from the regular hustle-bustle of the city life, lays the beautiful hill town of West Bengal, Kalimpong. Placed at an altitude of 1250 m above the sea level, it overlooks the Teesta Valley. Located at the foothills of lower Shivalik ranges of the Himalayas, this tranquil hill town is dotted with old churches, valued temples and Buddhist monasteries. Plan a peaceful vacation and treat your eyes to the lush greenery of tea estates, enjoy an amazing weather in the month of April and have a visit to the tourist attractions. 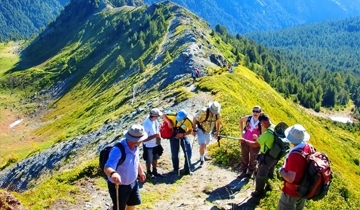 You can also partake in trekking, ropeway ride, hiking and rafting. 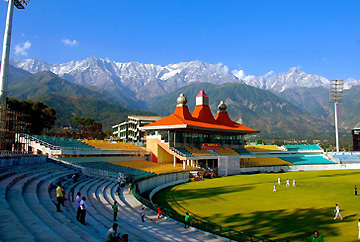 Dharamshala is Himachal Pradesh's one of the most peaceful locations. The hill station is a shining beacon of spirituality as it is the home of Dalai Lama and Tibetan community in refuge. The natural beauty of the locales in absolutely awe-inspiring. It is the culture and the people that draw visitors. April is a good time to plan your trip. The chilling winters have made way for pleasant weather of summers. 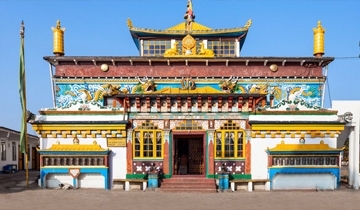 Explore the Tibetan monasteries, try out the thrilling treks in the Himalayas or simply relax in the blessed environs. Snuggled at heights of 2000 m above sea level, Mussoorie is a popular tourist destination in Uttarakhand. April is a good time to relish its natural beauty. 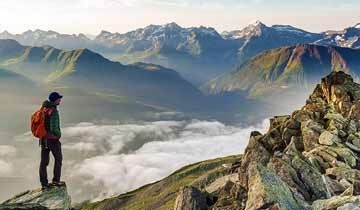 Go for scenic walks enjoying views of snowcapped peaks. 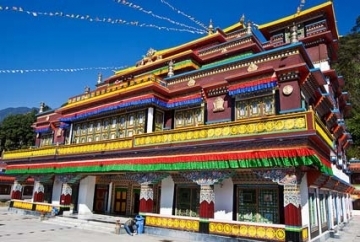 Visit the Happy Valley inhabited by amiable Tibetan refugees who have created a home away from home. Enjoy a ride on the ropeway or the cable car. Kempty Falls are a fun destination for all visitors. Cloud End and Lal Tibba are also delightful. Relax in the blessed environs and refresh your weary minds, body and soul. Enchanting views, wonderful climate and exotic locations of Kausani make it a must-visit destination in the month of April in India. Placed at an altitude of 1890 m above the sea level, Kausani was formerly known as Valna. It is an ideal getaway that makes you completely forget the hustle-bustle of your city life. Kausani is also a popular choice amidst honeymooners who wish to spend some alone-time with each other. Do not forget to visit the popular temples, Ashrams, waterfalls of the region. You can also try your hands at trekking. The wonderful temperature, misty ambiance and the cool breeze of Kodainakal, a mesmerizing hill town, attract an amazing traveler’s footfall during the month of April. Fondly known as the ‘Princess of Hill Stations’, Kodaikanal is equally popular amidst newly-wedded couples and family vacationers. Lying on the upper Palani Hills of the Western Ghats, Kodaikanal is a place to shop for cheese, embroidery work, homemade chocolates and other interesting craft items. April is also the best month to enjoy festival celebrations and attend flower shows, boat races and dog shows. 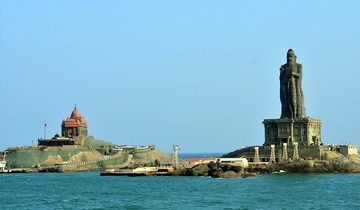 The southernmost point of India; Kanyakumari, is renowned for its rich blend of history and cultural heritage. Anointed in the true spirit of such heritage, its attractions boast of temples, churches, forts and palaces. Besides, Kanyakumari beach offers one of the best sunrise and sunset spots in the country. Traveling to this corner of India in the month of April is bound to be a delightful affair. The weather stays highly pleasant for sightseeing as well as swimming and surfing can also be best enjoyed during this time. Bangalore, the Silicon Valley of India, lies in the south of the country. Besides, its clichéd modernized urban image, the city has a heritage to flaunt. Being under the rule of various prominent dynasties of the south in the past, Bangalore’s share of old monuments, temples, gardens and historic structures talks about the fascinating heritage of the rulers. Plus, one would never be away from the modern advancements of the city; Bangalore’s flip side. Travel to this amazing city in the month of April, as it is renowned for its breezy status during that time. The weather would be comfortable and delightful to explore the city and head on to destinations around it. Deriving its name from the River Pench, flowing through it, Pench national park is known for its rich flora and fauna. Bestowed by the Best Management Award in the year 2011, this national park covers an area of 758 sq km. The park is also fondly referred to as Mowgli Land, because Rudyard Kipling’s popular novel The Jungle Book and the main character Mowgli is based here. Visit the park in April for spotting wildlife in good numbers, mainly because of the pleasant temperatures, including 39 mammal species, 13 reptile species, 3 amphibian species and 210 avifauna species. 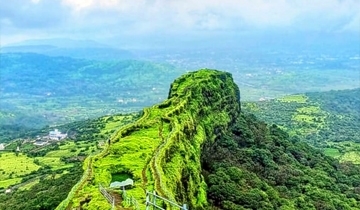 Lying amidst the rolling Sahyadri Mountains, Saputara is a beautiful hill station that is popular not only for its scenic beauty but also for the opportunities that it offers to adventure enthusiasts. The pleasant weather in the month of April makes it a popular destination, ideal for a peaceful getaway from monotonous city life. During your visit, do not miss a chance to visit the scenic locations as well as trying your hands at boating, trekking, ropeway ride, horse riding etc. Saputara also boasts of natural relics, rich biodiversity and a mythological connection. Renowned as a popular weekend getaway in the state of Maharashtra, Lonavala is suitable to be visited anytime of the year. The cool climate feels like a respite and its numerous natural attractions; lakes, waterfalls and hills, make it a favorite for residents of Mumbai and Pune. Travel to this paradise land in the month of April and you would be showered with a bounty of options to choose from. The weather stays within a comfortable temperature range and thus, trekking through the verdant green lands to caves like Karla, Bedsa and Bhaja would be a delightful affair. A sparkling jewel in the crown of India, Rajasthan is a must-visit destination in April. The royal state abounds with surprises at every turn. Step out and discover every bit of what this ‘Land of Maharajas’ has to offer. Be it unveiling the mysteries of Kumbhalgarh or confining yourself to the comforts of heritage hotels in Rajasthan, everything has its own charm. Attending a number of fairs and festivals like Gangaur Festival makes traveling to Rajasthan in April worthwhile also the best of it all, it’s relatively crowd-free. Goa is one such destination in India that showcases a perfect mélange of adventure, beach, romance, heritage and exploration. So fetch your sunglasses and umbrellas as you are about to make your holiday special by traveling to Goa in April. The ‘Party Capital of India’ offers unlimited fun even in this month as the climate in the evening is quite pleasant. It rains often thereby dialing down the heat. Don’t forget to grab your chance to indulge in exciting watersports activities to pacify your adrenaline rush. One of the happiest countries in the world and the joyful season of spring makes a truly delightful experience. So, are you ready for it? Bhutan awaits your arrival in April. The mighty Himalayan kingdom comes to life with spectacular array of vibrant colors of nature. The snow- covered mountains, lush valleys, ethereal monasteries, inspiring views, charming culture, salubrious weather, festivals and more combine to create a happy holiday at one of the best places to visit in April. 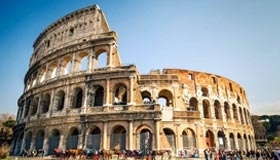 You don’t always need a reason to visit Italy, especially in April. The beautiful country of Europe is among charming places to visit in April. The reason are many, each one undeniable. To name a few, it’s the pleasant weather, incredible sights, charming architecture, delicious gastronomy, things to do and charming experiences. Festivals in April include celebrating the days of patron saints to have a joyous revelry of spring adding to wonderful memories of a holiday in Europe along with Italy. Who can deny the many thrills of a holiday in USA? 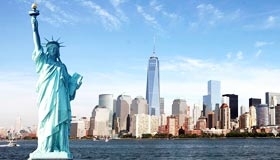 Named among the best places to visit in April, the United States of America proves to be a wonderland, all you need to go exploring. With pleasant weather in April, the diverse landscape presents blissful experiences. National parks are full of adventure pursuits, while cities and beaches bustle with the energy of spring. 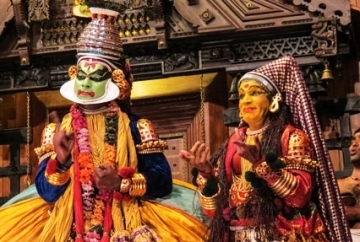 Festivals are the highlight of a holiday in April, with each corner of the country rejoicing.